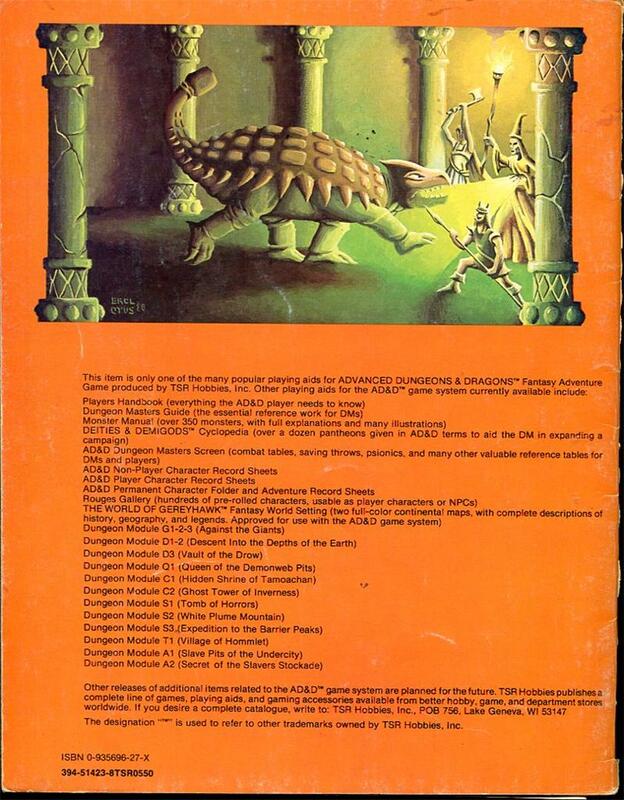 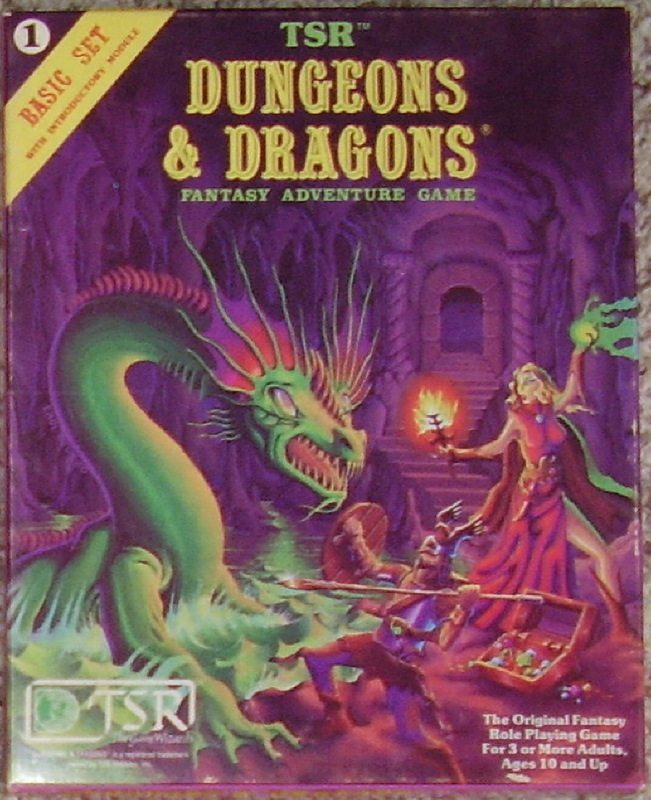 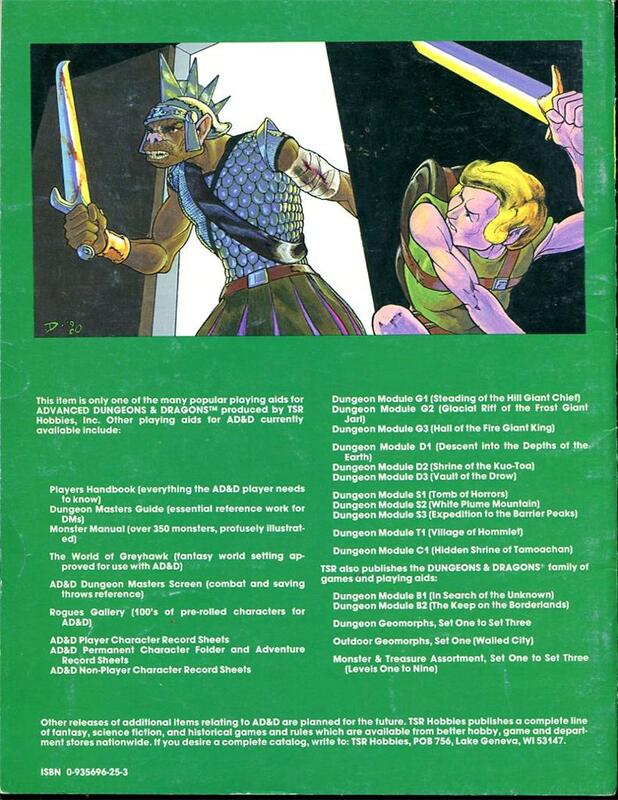 Front cover by Erol Otus, another legend of early D&D. 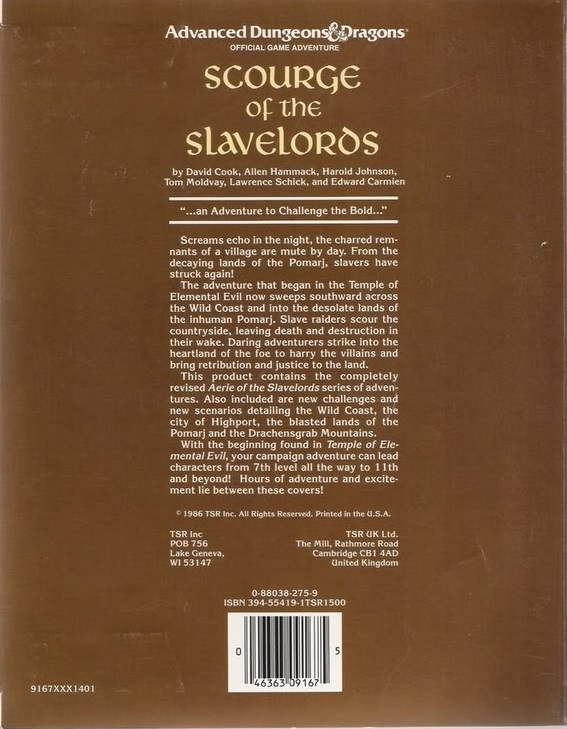 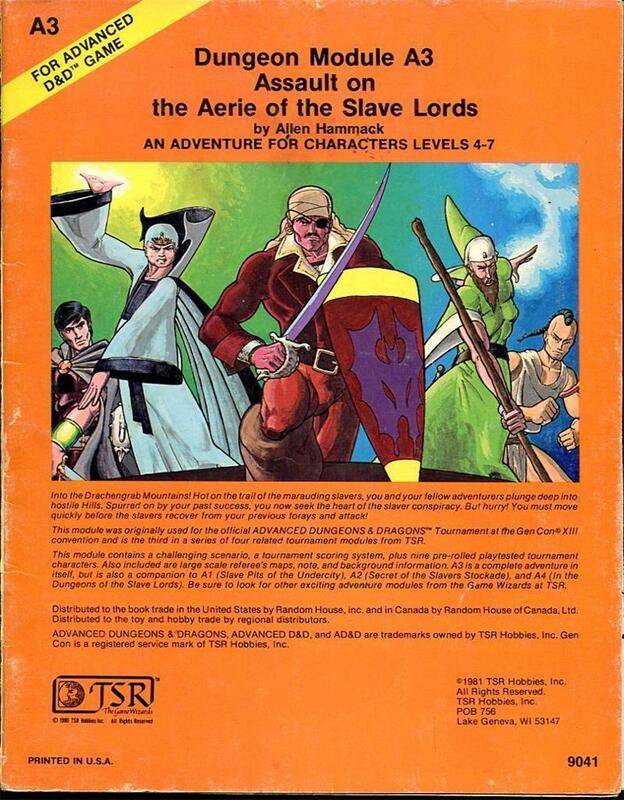 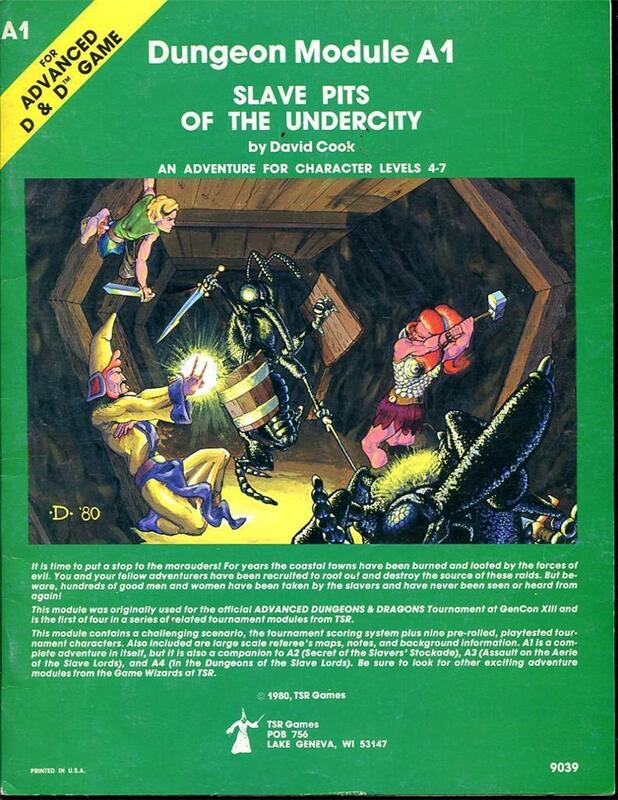 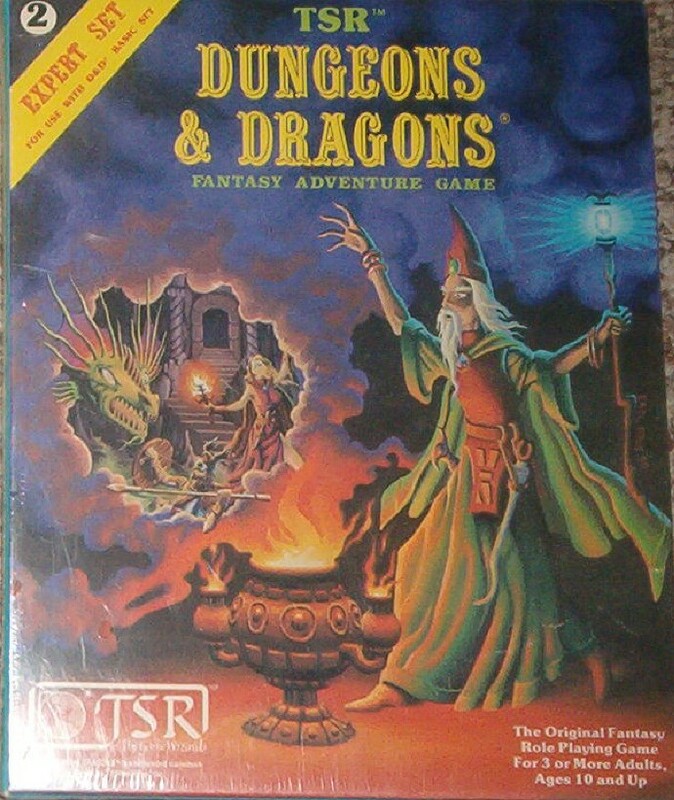 Otus did the definitive covers of the revised 1981 Basic and Expert Sets, seen here and here via Tome of Treasures. 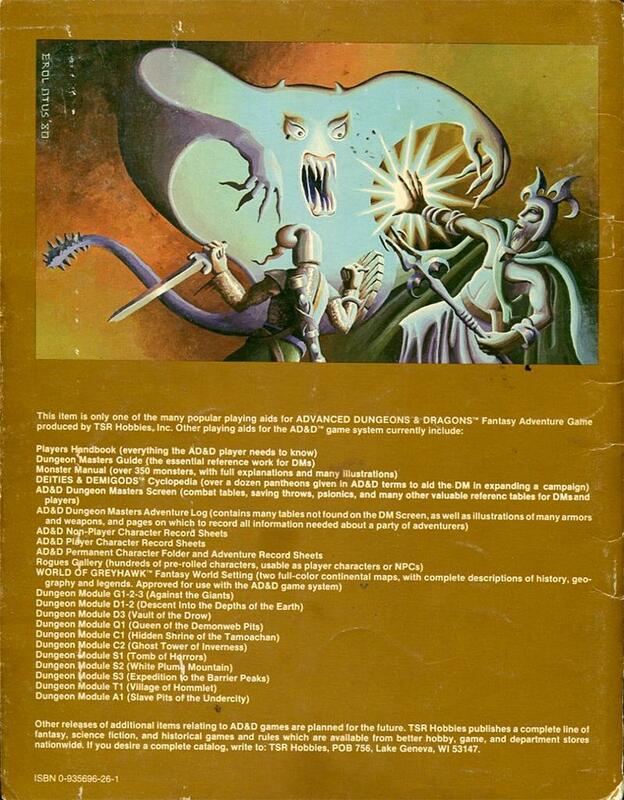 I’ll be posting more of his distinctive module covers as well. 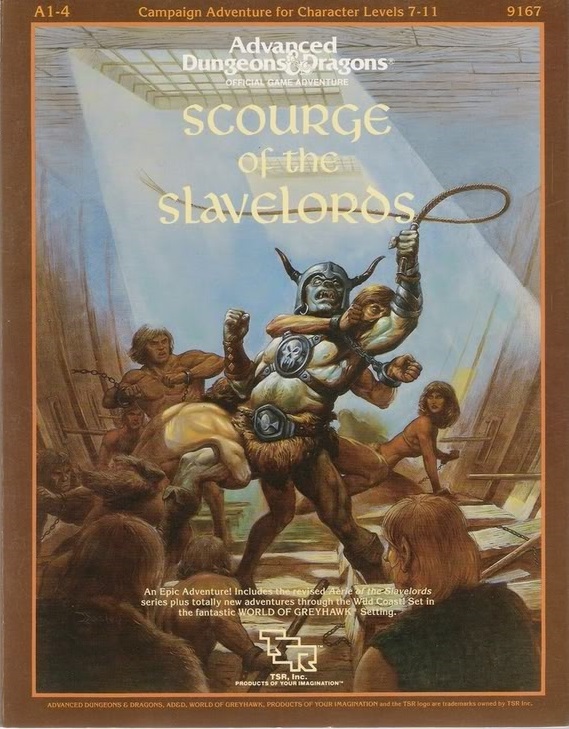 The back cover is unsigned, but it has to be Jim Roslof. 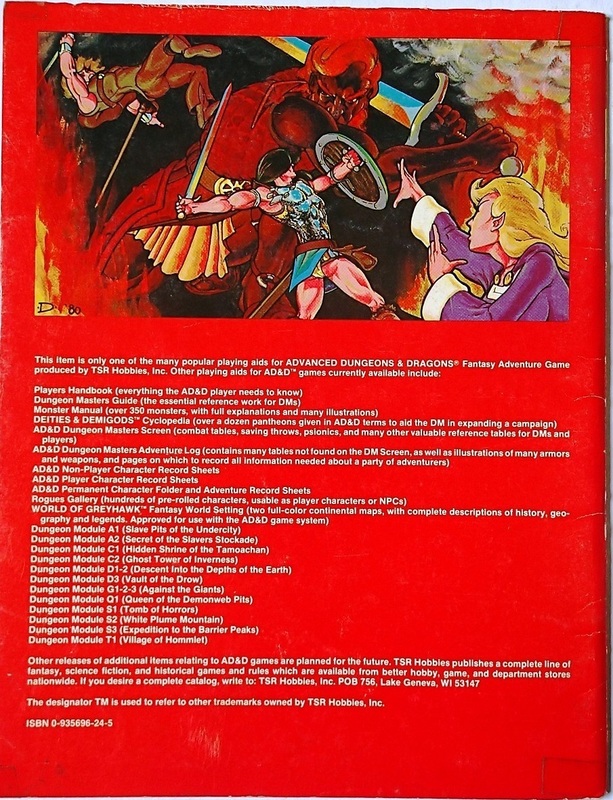 (Frustratingly, the front and back covers are often uncredited in the early modules. 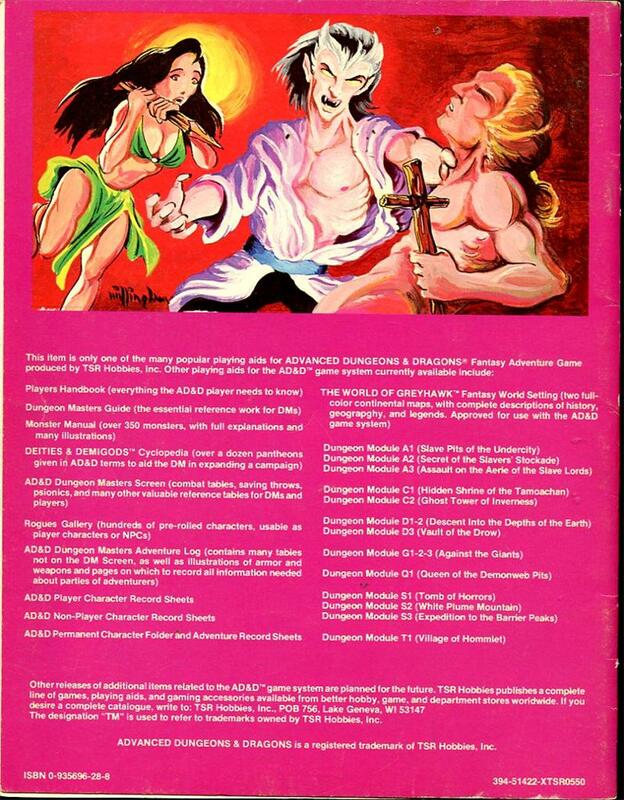 Only the art team is listed.) 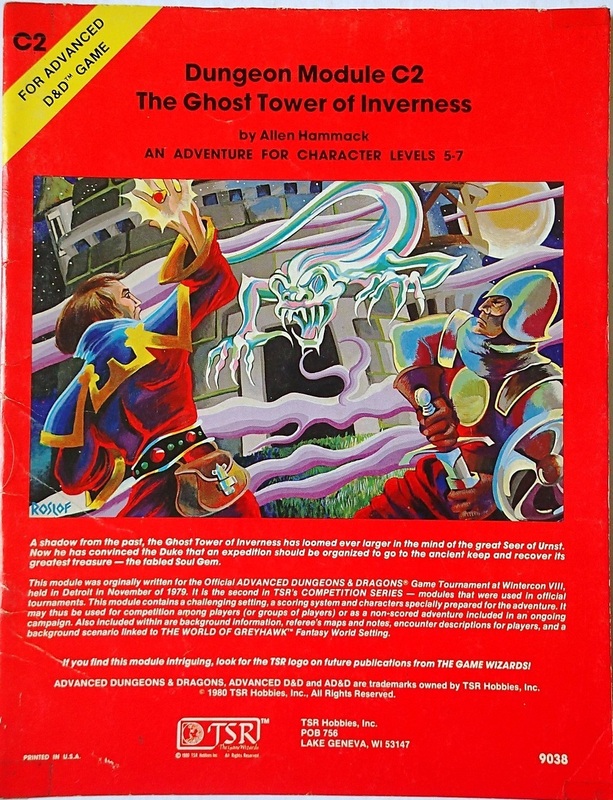 Compare the style with The Ghost Tower of Inverness. 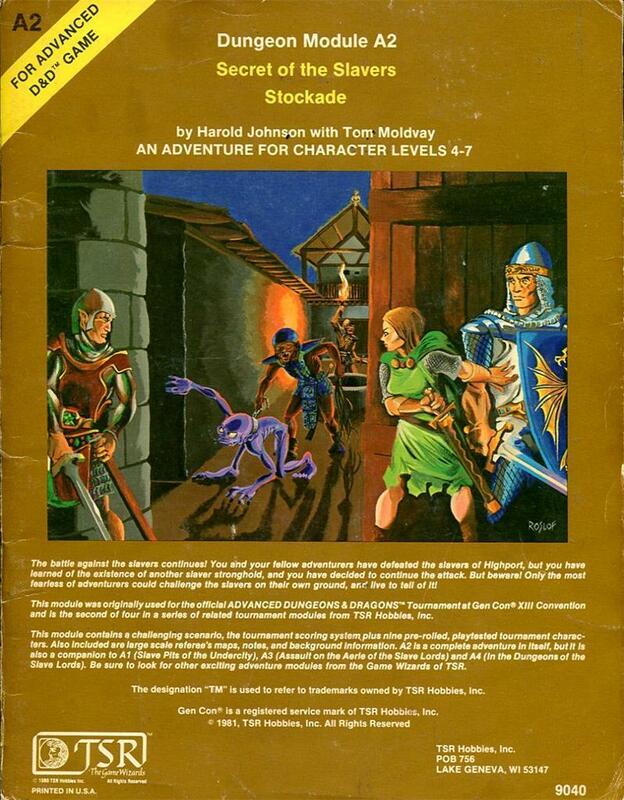 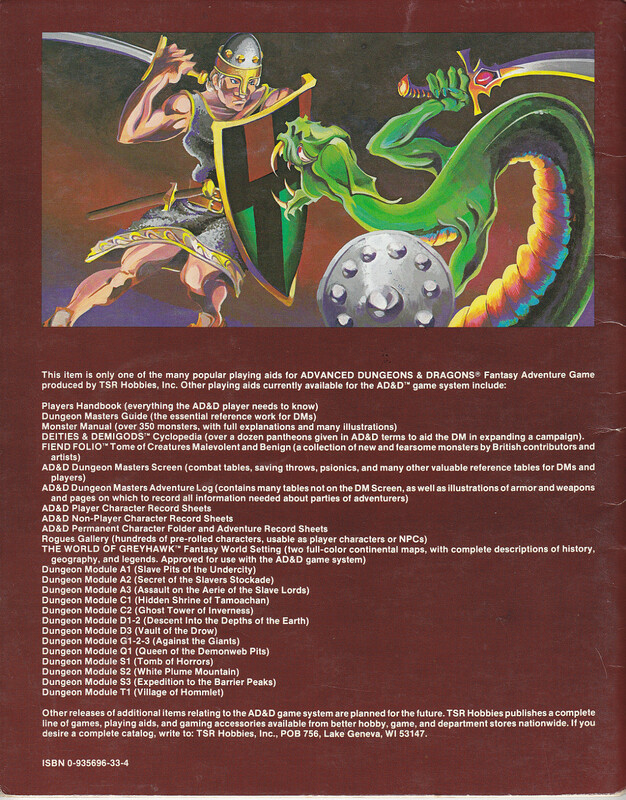 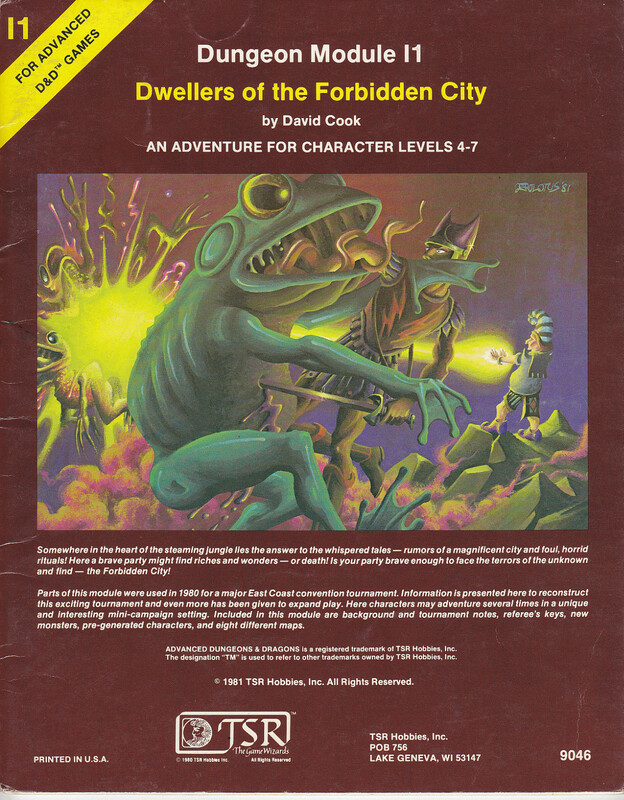 The module is available at dndclassics.com. 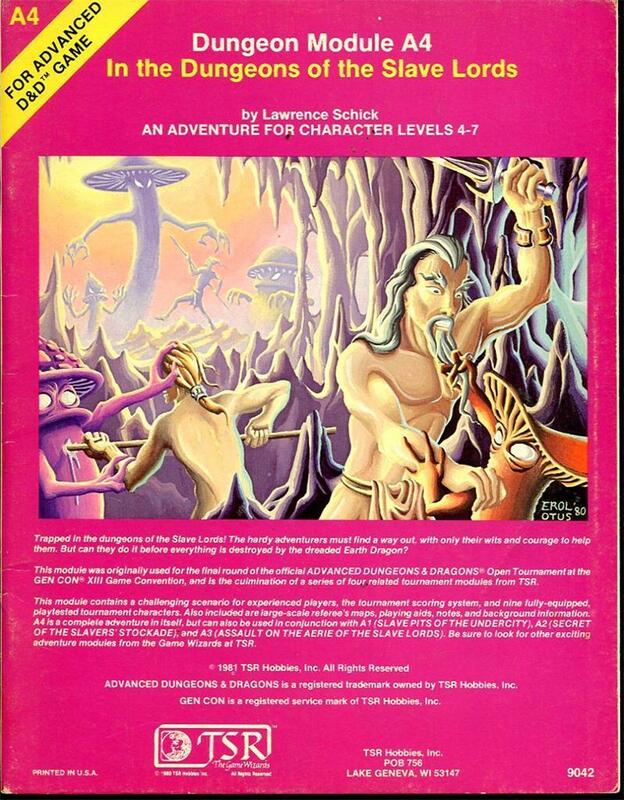 Grognardia reviews it here.